Mosquito 800 Retractable Banner Stand [Complete] The Mosquito 800 retractable banner sign is an affordable, versatile stand in silver with sleek black endcaps. With three base widths to choose from, including one that is five feet wide, this product's usability goes from banner stand to backwall.... 33.5" Pronto Retractable Banner Stand is the most popular of the 4 sizes of Pronto Banner Stands Display Cases, and has the same compact, and lightweight features as all the others, and comes with a choice of black or silver base, The printing is on a Celtic fabric with Kaleidoscope Select Dye Sublimation with Diamond finish. When the time comes to change out the banner graphics, Banner Bug stands make it easy! Start by removing the pin, and completely releasing the graphic panel from the base. 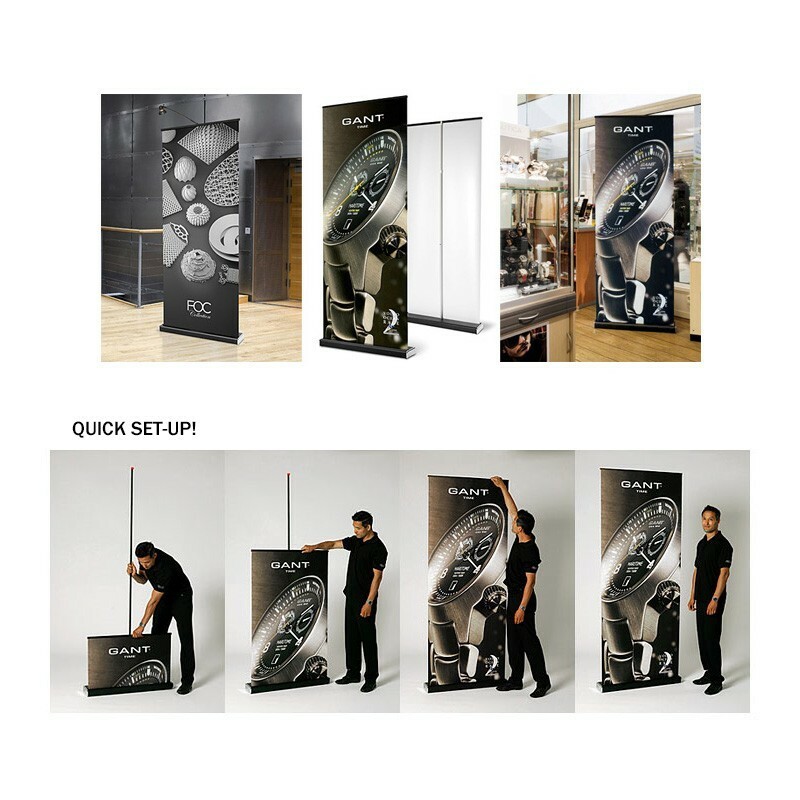 Once the graphic panel is removed, this will expose the PVC tongue and graphic join.... Retractable Banner Stands and Banner Stands Displays are made from anodized aluminum, lightweight and easy to install at any location. All Retractable Banner stands include the banner stand hardware, a full color printed banner, and a carrying case. Just order a new banner on our website, which is less than $90, you'll get a new customized printed banner without re-purchasing entire banner stand hardware. Simply order a replacement new banner for a fresh look. We will print your new graphics, attach them to the replacement parts and send out to you for easy change-outs in the field. While slightly higher in the initial cost, these stands allow you to change the banner as often you wish and hassle-free. Whereas, traditional banner stands are designed for one use only. Whereas, traditional banner stands are designed for one use only. SilverStep retractable / roll up banner stands are high quality, long lasting stands. Solidly designed banner stands that are easy to set up and use. Banners can be easily changed as needed for different events, or to feature a different product. Description . 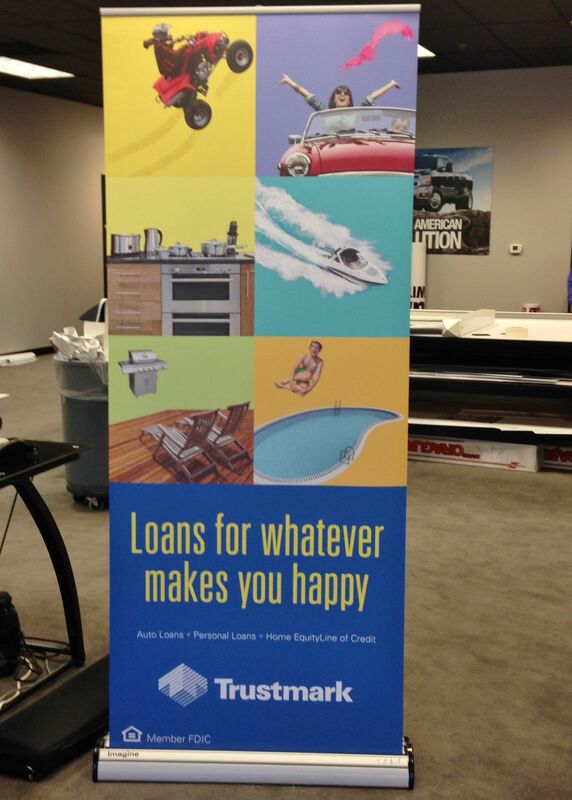 The 48" wide SilverStep� retractable banner stand adjusts from 69" to 92" floor height. Easy to change out banners and retracts into base when not in use.